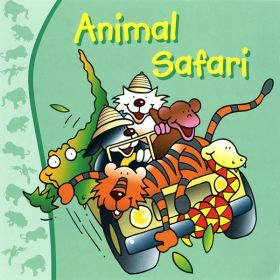 An hour of animal fun, with 22 tracks, including If You Meet A Tiger, One Baby Zebra, Yellow Bird and Animal Fair. The lyrics for this album are available here. 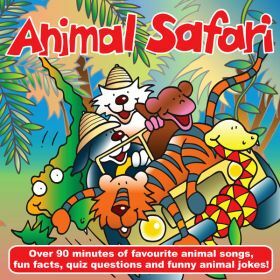 An album of sing along animal songs, followed by 89 animal facts and jokes. A total running time of over 95 minutes. 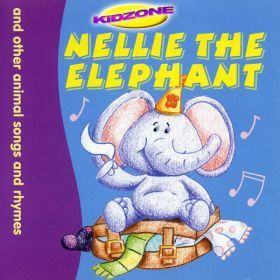 Songs include Bare Necessities, I Went To The Animal Fair, An Elephant Goes Like This And That and Down In The Jungle. 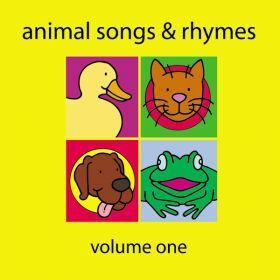 A collection of 32 children's songs and rhymes about animals. Tracks include Out In The Country, Creepy Crawlies And Itchy Things, Three Little Ducks and I Want Someone To Buy Me A Pony. 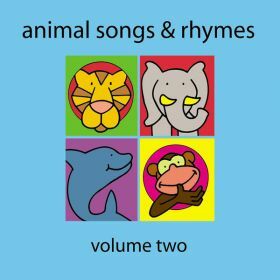 A collection of another 28 children's songs and rhymes about animals. Tracks include Chimps' Tea Party, Slippery Slithery Snail, Down In The Grass and Wiggly Woo. 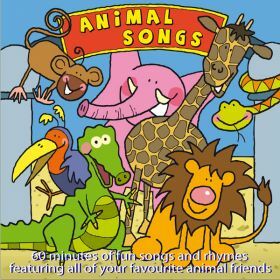 60 minutes of fun songs and rhymes, featuring all your favourite animal friends. A total of 29 tracks, including I Want To Be Like You, Who's Afraid Of The Big Bad Wolf?, Snake In The Grass and Funny Monkey Business. 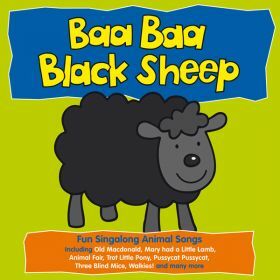 A collection of fun singalong animal songs, including Old Macdonald, Mary Had A Little Lamb, Trot Little Pony, Three Blind Mice and Walkies! Available on iTunes, Apple Music, Amazon Music, Spotify, Google Play and Deezer, using the links below. Click on the YouTube link for a sing along video of a track from the album. 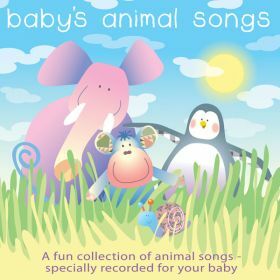 A fun collection of animal songs, specially recorded for your baby. All sung in a gentle, clear and simple style. Tracks include Two Little Dickie Birds, If You Happen To Meet An Elephant, Rabbits Are Furry and Slowly Goes The Snail. Singalong with a track from this album with the YouTube link. 60 minutes of fabulous fun songs featuring lots of lovely minibeasts. Tracks include Ugly Bug Ball, Slugs Lovely Slugs, The Spider To The Fly and Wiggly Woo. 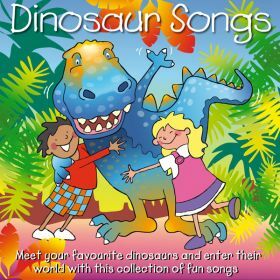 34 fun songs for children about the world of Dinosaurs. Tracks include Baby Dinosaur, Ten Little Dinosaurs, They Lived On Earth and Roar Like A Dinosaur. 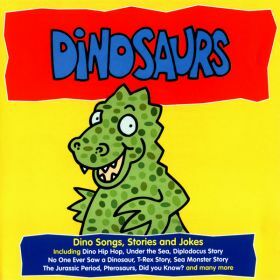 28 fun dinosaur songs, stories and jokes. Tracks include Dinosaur Dinosaur, The Jurassic Period, T-Rex Story and No One Ever Saw A Dinosaur. Singalong to the video playlist with the YouTube link. 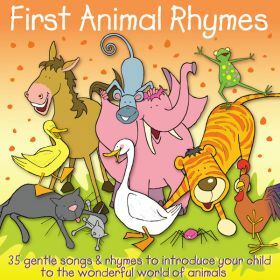 35 gentle songs and rhymes to introduce your child to the wonderful world of animals. Total running time of one hour. Tracks include Shoe A Little Horse, Tiger Tiger, Koala Koala and Kangaroo B-oing B-oing. 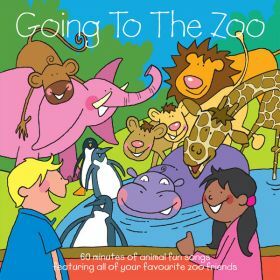 Sixty minutes of animal fun songs, featuring some of your favourite zoo friends. Tracks include At The Zoo, Stand Up And Roar, In The Jungle You Will Find and Never Smile At A Crocodile. 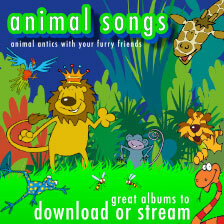 21 fun sing-along animal songs and rhymes. 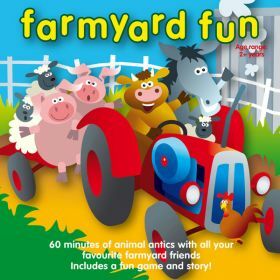 Tracks include The Animals Went In Two By Two, All Our Animal Friends, Chook Chook and Fieldmice. Available on iTunes, Amazon Music, Spotify, Google Play and Deezer, using the links below. This album is not available as a physical CD. Watch a video version of one track from this album with the YouTube link. 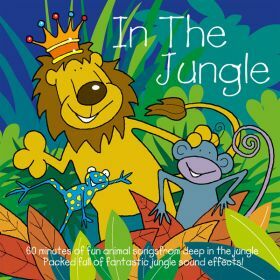 An hour of fun animal songs from deep in the jungle for children. Tracks include Never Smile At A Crocodile, Yellow Bird, Down In The Jungle and Rhino Rhino. 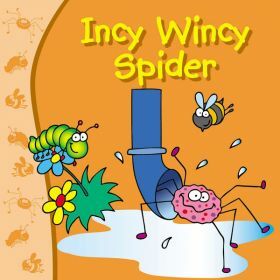 Join Incy Wincy Spider and all her creepy crawly friends in their minibeast world. From flying high in the air, to deep down in the dirty soil! Tracks include Ugly Bug Ball, Wiggly Woo, Norman The Naughty Gnat and Pretty Firefly. Available on iTunes, Apple Music, Amazon Music, Spotify, Google Play and Deezer, using the links below. This album is not available as a physical CD. Singalong to the title track with the YouTube link. 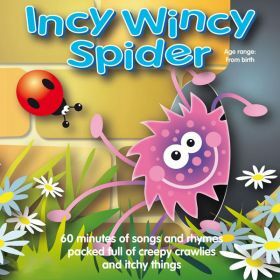 Sixty minutes of songs and rhymes packed full of creepy crawlies and itchy things. Tracks include The Spider To The Fly, The Busy Bee Song, Wiggly Woo and Bugs In The Backyard. 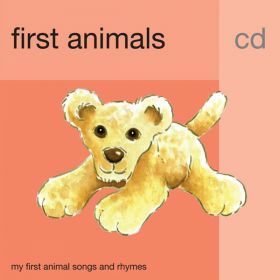 45 minutes of animal songs and rhymes for young children. Tracks include Never Smile At A Crocodile, Chimp's Tea Party, The Bare Necessities and Where's My Food? 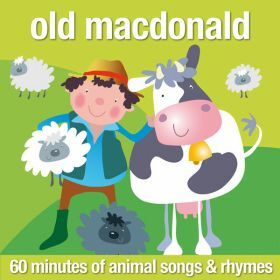 60 minutes of songs and rhymes for young children. 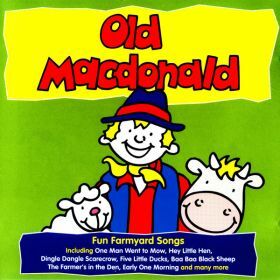 Tracks include Old Macdonald, Five Little Ducks, Tom Tom The Piper's Son, The Carrion Crow, Big Ted Little Ted and Me And My Teddy Bear. 60 minutes of animal songs and rhymes for young children. 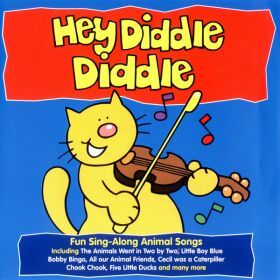 Songs include Incy Wincy Spider, Five Little Ducks, Pussycat Pussycat and Little Topsy Rabbit. 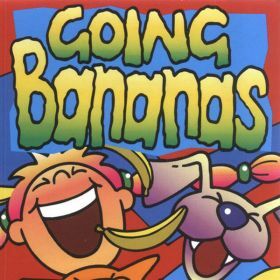 Click on the YouTube link for a playlist of selected singalong videos based on tracks from this album. 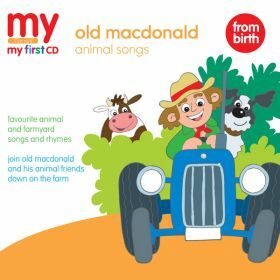 Join Old Macdonald and all his animal friends down on the farm for an album featuring favourite animal and farmyard songs and rhymes, with fun farm sound effects. 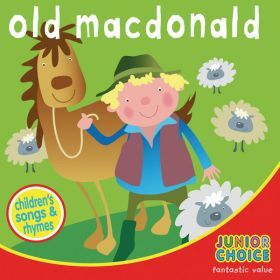 Tracks include Old Macdonald had A Farm, The Farmer's in His Den, Smelly and To Milk A Cow.